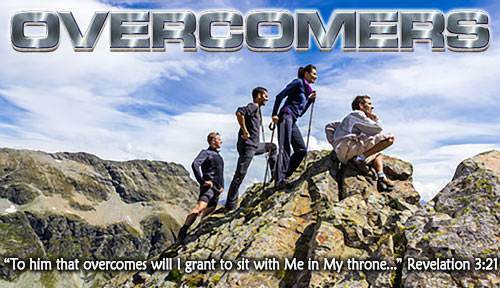 Christ is My Righteousness—Lesson 6 in "Overcomers"
It is wonderful to know that God has forgiven me of all my sins, but if I am to enjoy God, I need a righteousness that is acceptable to God. God is a holy God. The Bible teaches that God is all light and glory. He is perfect in righteousness and purity. Nothing sinful can ever come into His presence. Many times in the Bible, darkness stands for sin, and the Bible says "...God is light, and in Him is no darkness [no sin] at all" (1 John 1:5). 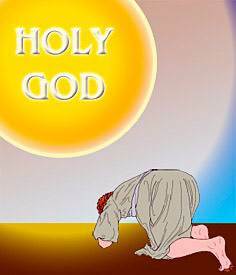 When Isaiah saw this vision of the glory and holiness of God, he fell on his face and cried out, "Woe is me! for I am undone … for my eyes have seen the King, the Lord of hosts" (Isaiah 6:5). What caused Isaiah to fall on his face and cry out to God, "Woe is me, for I am undone"? It was his sense of sinfulness. Isaiah was a good man and he loved God, but he knew that he was sinful. He knew that he was not fit to be in the presence of the glorious and holy God. I need a perfect righteousness. What is the difference between forgiveness and righteousness? Forgiveness is getting rid of my sins; righteousness means being "clothed" properly to come into God's presence. Forgiveness is like taking a bath. Righteousness is like putting on nice, clean clothes. We take a bath to get rid of our dirt. 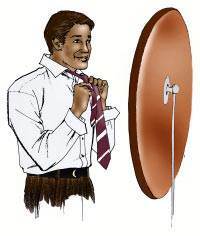 We put on nice clothes so that we will be dressed properly. Suppose I was dirty and in ragged clothes. A great king sees me, and for some reason, he wants to help me. He invites me to come to see him in his palace. What would I need to do? First, I would need to take a bath to get rid of all my dirt. Then I would need to be dressed in the right kind of clothes to appear before a great king. What about coming into God's presence? When I think about coming into the presence of God, the King of the universe, I realize that I need to be "clothed" with a righteousness that is acceptable to Him. What kind of righteousness does God accept? God accepts only a perfect righteousness. That is the only kind of righteousness God will accept. Here is good news! What we could never do for ourselves, God has done for us. He provides a perfect righteousness for His believers. How does God make me righteous in His sight? God has done three wonderful things to make me perfectly righteous in His sight: God got rid of my old life, God created me as a new person in Christ, and God gave Christ to me to be my righteousness. Let us see how God did this. God got rid of my old life. Do you remember the story about the little man and the book? Once the little man was put in the book, whatever happened to the book also happened to the little man because he was in the book. That is the way it is with us. God put me in Christ on the cross. When He was crucified, I was "crucified with Him." When He died, I died with Him. Of course, I am not dead in myself, but I "died" in Christ. This is the way God sees me. My old life is gone forever from His sight. God created me as a new person in Christ. I died with Christ. I was buried with Him. In God's sight that was the end of my old life. Now God says to me, "I have created you as a new person in Christ." God gave Christ to me as my righteousness. This verse says that we are "made the righteousness of God in Him," that is, in Christ. Just as God looks at Christ and sees Him perfectly righteous, so He looks at us and sees us perfectly righteous because we are in Christ. The story of the prodigal son shows us how God makes it possible for us to come into His presence with a righteousness that is suitable to Him. The son was made suitable to his father. When the prodigal son returned to his father, he had no idea how well he would be received by his father. The father ran to meet him and "covered him with his kisses." At that moment the son knew how his father felt toward him. He knew that he was forgiven and accepted. 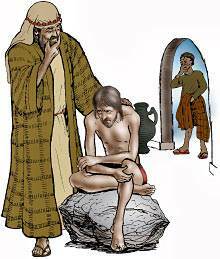 But even though he knew that he was forgiven and accepted by his father, the prodigal son was not completely happy. He was not happy because of his condition. He was still in his dirt and rags. The prodigal son might have said to his father, "It is wonderful that you love me so much and that you can receive me as you do, but I do not enjoy it because I am not fit for you." What did the father do? 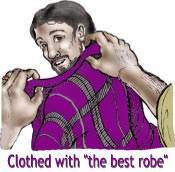 He told his servants, "Bring forth the best robe, and put it on him." We may be sure that this new robe was not put over the prodigal son's dirt and rags. He was cleaned up and his old clothes taken away, and then the servants put "the best robe" on him. It is called "the best robe" because there could be no better. What is the son's situation now? His dirt has been washed off him and he has on the best robe. He knows that he is now fit to be in his father's presence. He can now enjoy being with his father because his father has made him suitable to himself. The "best robe" not only made the son suitable to his father, but it made him conscious of his suitability. The son now knew that he was fit to be in his father's presence because the father had made him suitable to himself. What is God's "best robe"? God's "best robe" is Christ! The moment I was saved, God put me in Christ, and He gave Christ to me as my righteousness. Because the prodigal son had the "best robe" which his father had given him, he could enjoy being in his father's presence. He knew that he was clothed in a way that was suitable to his father. God has made me suitable to Himself by giving me His "best robe." He has given Christ to me as my perfect righteousness. I can now enjoy being in God's presence because I am in Christ. The righteousness and acceptance which I have in Christ is perfect and complete. I did not earn it. God gave it to me the moment I took Christ as my Savior. I can never lose my acceptance with God. I am always accepted in Christ. My "position" and my "walk"
The Bible speaks of my "position" in Christ and my "walk" with Christ. I need to understand the difference between these two things. What is my "position" in Christ? My "position" is the way God sees me in Christ. 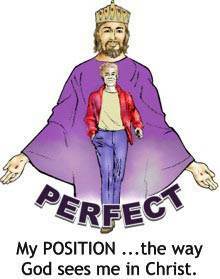 My position is always perfect because it is the way God sees me in Christ. What is my "walk" with Christ? My walk is the way I live, day by day. 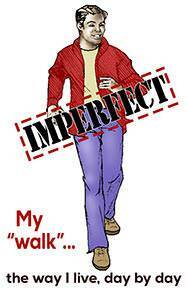 Is my "walk" perfect? No, it is not. Why? Because it depends on me, and I still sin. As long as I am here in my body, I will sin at times. It will help us if we remember that our position is the way God sees us in Christ, and our walk is the way we live here on earth. God always accepts me according to my position in Christ, and not according to my walk—the way I live. God always sees me in Christ. When God saved me, He put me in Christ and gave Christ to me as my righteousness. 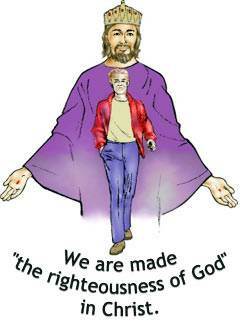 I am made "the righteousness of God in Him." My righteousness before God is Christ Himself. He is God's "best robe," and God never takes back His "best robe" which He has given to us. If you are saved, say to yourself right now, "I am in Christ, and Christ is my perfect righteousness. He will always be my perfect righteousness before God." Say it again! Isn't that wonderful? "Father, I believe the wonderful things You have done for me! You got rid of my old life, You made me a new person in Christ, and You have given Christ to me as my perfect righteousness. Thank You! Thank You! Thank You!"